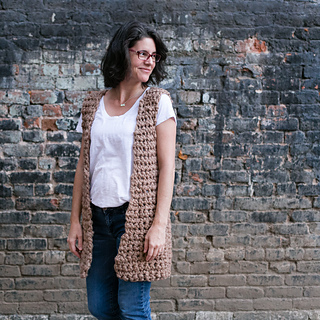 The Analee Vest is an easy crochet pattern made from jumbo wool blend yarn. 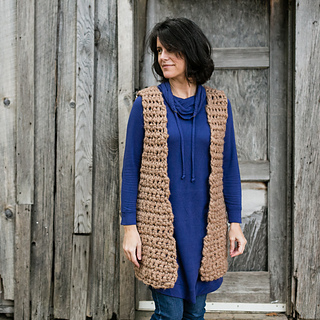 Written for three sizes, each piece is worked flat with single crochets and simple decreases. 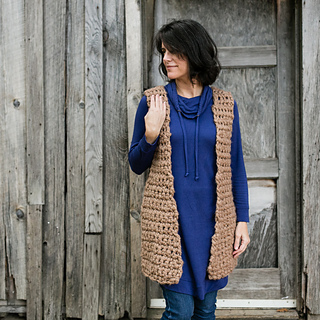 Great for a confident beginner, the Analee Vest is a quick project that adds beautiful texture to any cold weather wardrobe. 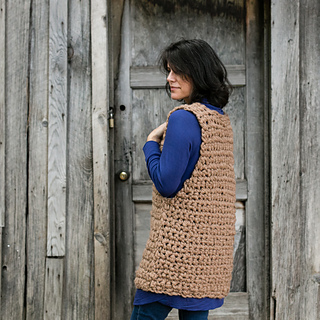 Pattern is written in standard U.S. terms.